Tuberculosis Testing and Treatment from the Graves County Health Department in Mayfield Kentucky: Providing clinical services, health information, public inspections and information, WIC and Nutrional Programs and More! TB bacteria can live in body without making you sick. This is called latent TB infection. In most people who breathe in TB bacteria and become infected, the body is able to fight the bacteria to stop them from growing. 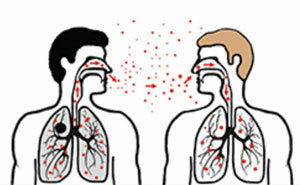 People with latent TB infection do not feel sick and do not have any symptoms. People with latent TB infection are not infectious and cannot spread TB bacteria to others. However, if TB bacteria becomes active in the body and multiply, the person will go from having latent TB infection to being sick with TB disease. TB bacteria becomes active is the immune system can’t stop them from growing. When TB bacteria are active (multiplying in your body), this is called TB disease. People with TB disease are sick. They may also be able to spread the bacteria to people they spend time with every day. 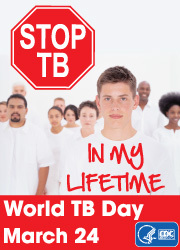 Many people who have latent TB infection never develop TB disease. Some people develop TB disease soon after becoming infected (within weeks) before their immune system can fight the TB bacteria. Other people may get sick years later when their immune system becomes weak for another reason. For people whose immune systems are weak, especially those with HIV infection, the risk of developing TB disease is much higher than for people with normal immune systems. Tuberculosis is an airborne disease, which primarily affects the lungs but can also affect other organs. People who are infected with TB are not contagious until their infection develops into active TB disease. The symptoms of tuberculosis include: Coughing up blood, weakness, loss of appetite, chest pains, anorexia, weight loss, chills, failure to thrive, abnormal chest x-ray, night sweats, fever, difficulty breathing, cough, and shortness of breath. (3) Ensure that individuals who are infected but don’t have TB disease remain non-infectious. Graves County Health Department works toward these goals through TB control activities in our community. Control activities include, but are not limited to, TB testing, TB assessment, disease surveillance, and administration/observation of drug therapies. For more detailed information about TB, please click here or contact our health center 270-247-3553. Get more information from the Center for Disease Control. View the CDC TB Fact Sheet in English and Espanol!